For fans of Maggie Stiefvater and Holly Black comes a dark mystery set in a secret New Orleans voodoo society. Claire Kincaid would love to be normal. But as a descendant of Marie Laveau, the most powerful voodoo queen in history, that's just not possible. 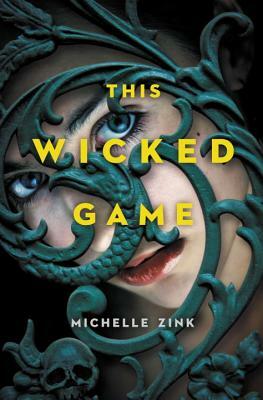 Even worse, Claire's lack of interest in the craft makes her an outsider in her community, putting her secret romance with the voodoo Guild leader's son at odds. But when mysterious strangers start requesting black market items from local voodoo shops, including the one her family owns, Claire decides to investigate. With the help of some unlikely allies and her gorgeous boyfriend, Claire must uncover the dark truths her family has kept hidden from her and unravel a dangerous plot that threatens to destroy every member of the Guild, including her family and the boy she loves. Michelle Zink is a mother of four living in Pine Bush, New York. Before turning to YA books, she was an executive at a marketing firm and then an antiques dealer. She is the author of the Prophecy of the Sisters trilogy and "A Temptation of Angels." Prophecy of the Sisters was chosen as one of Booklist’s Top Ten Debut Novels of 2009 and as one of the Chicago Public Library’s Best Books for Young Readers. It was a 2010 Texas Lone Star Reading List selection and a New York Public Library "Stuff for the Teen Age" pick. The Audio Edition received NAPPA Gold Honors.